In the mood for a good laugh? Well you’re in luck! Philadelphia is home to one of the best comedy scenes in the country. Philadelphia's burgeoning comedy scene has all the hilarious theater, stand-up, improv and storytelling you need to kick back and have a few laughs. 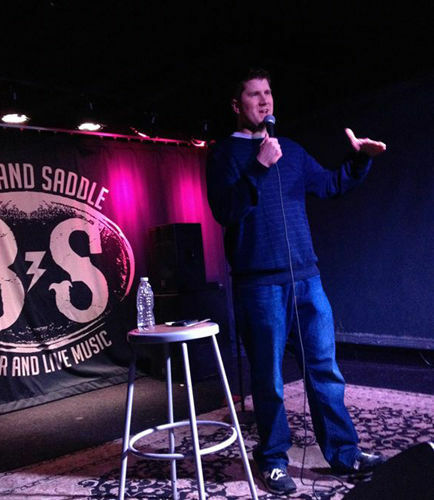 Here are some of Philly’s most popular go-to comedy clubs. Where do you go in Philadelphia when you need a laugh? Let us know on Facebook, Instagram and Twitter @Phillyfunguide! Good Good Comedy Theatre is a 50 seat black box theater known for their mercilessly unpredictable independent comedy. Audiences can enjoy a diverse and unique selection of performances every day of the week. Good Good Comedy also hosts a variety of classes aiming to transition aspiring comics to the stage or aspiring producers to real industry opportunities. Audiences can enjoy most shows for under $12. Punch Line Philly is suitable for audiences looking for a premiere comedy experience. The 300-seat venue features VIP seating, an outdoor patio, a lobby bar and a full-service food and beverage selection. When it comes to the heart of the show -- the featured performers -- Punch Line is renowned for hosting some of the nation’s best comics such as Dave Chappelle, Ellen DeGeneres, Chris Rock, Wanda Sykes, Drew Carey and much more. Soul Comedy at WarmDaddy’s every Wednesday at 8:30 p.m. will have you gasping for air with comedic acts from renowned Philadelphia area comics, Turae and Buckwild, but that is only the beginning. Audiences will then enjoy the comedic works of local independent comics while dining on some of the area’s best soul food and specialty cocktails. Seating is limited and guests are encouraged to register in advance. Helium Comedy Club is known for bringing stadium sized talent to an intimate setting and at an affordable price point. Audiences can also enjoy a wide selection of food and beverage. For aspiring comedians, Helium offers workshops and classes to help perfect your act and to transition you to the stage. ComedySportz Philadelphia is a improv theater and school. During their shows, two teams of improvisers get competitive and battle for your laughs with improv games like you’ve seen on “Whose Line Is It Anyway?” Some lucky audience members may even get to participate too. ComedySportz also offer adult only improve shows such as the Blues Show. Aspiring artists can develop their skills through improv classes and workshops. Organizations can use ComedySportz's ”team building” services that are designed to get your employees thinking and listening more effectively. Philly Improv Theater (PHIT) is a BYOB comedy club that offers hilarious shows every night of the week. They are renowned for their interactive improv and impressive talent. For up and coming artist, PHIT also offers workshops and classes. Philly Comedy Club is a hip underground comedy experience. Every Friday night audiences are filled with laughter from popular headlining acts from Philly, NYC and top up-and-coming feature acts. Located at Infusion Lounge, guests can enjoy specialty cocktails alongside their laughter. Check Funsavers every Thursday for half-price comedy tickets!